Bengaluru- a place where various cultures crosses paths and splendid past mingles with modern pleasures, is fondly known as 'The Garden City of India'. This joyful city has earned quite a few names such as 'Silicon Valley of India', 'Air Conditioned City', 'Pub Capital of India', and 'Pensioners' Paradise' all for its lush green landscapes, healthy climate, and modern conveniences. Often termed as 'techie's paradise', Bengaluru has plenty of things that are of great tourist interest like gardens, natural landscapes, palaces, temples, and museums. All these things together represent a wonderful blend of past and present, and this is the reason a lot of people admire the city for its westward culture, natural beauty & vibrant nightlife. 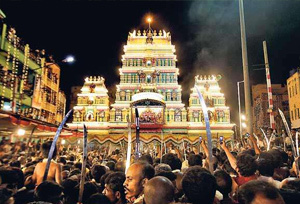 Bengaluru is a potpourri of people and culture and is definitely one of the best cities in India, that draws people in a large number from across the world. 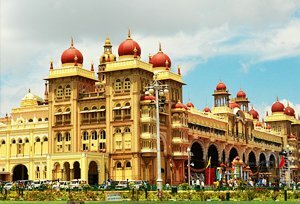 It is the capital of Karnataka and an important tourist destination, which is currently Asia's fastest growing cosmopolitan city that almost every techie would love visiting. The convenient location of Bengaluru in the center of Peninsular India, makes the atmosphere cool & pleasant, attracting hundreds of tourists to this modern town every year. Tipu Sultan's Palace and Fort: This magnificent fort was originally built by Chikkadeva Raya and later reconstructed in Indo-Islamic architecture as a summer home for Tipu Sultan. The building is popular for its stunning figures, paintings, intricate wood carving, ornamental pillars, and beautiful balconies. Bangalore Palace: Taking an inspiration from the England's Windsor Castle, Chamaraja Wodeyar of Bangalore, constructed this palace in the year 1884. The building is made in Tudor style with Gothic windows, wood carvings, and turrets that reflects the stunning architecture of the ancient period. It has beautiful large gardens and halls, used to organize exhibitions and concerts. Lalbagh Botanical Gardens: Lalbagh Botanical Garden is famous for a reason! This majestic glass house was constructed by Haider Ali and later modified by Tipu Sultan. It houses approximately 1800 species of plants, herbs, and trees, including a rare collection of tropical and sub-tropical plants. This garden got its name from a collection of red roses that bloom all the year round. 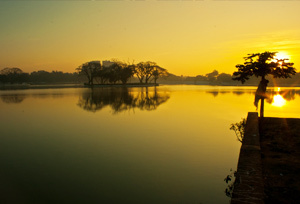 Ulsoor Lake: This beautiful lake is spread over an area of 125 acres and it is one of the biggest lakes in Bangalore. It offers many recreational activities such as swimming and boating to make tourists enjoy each and every moment of their trip in a delightful manner. Vidana Soudha: Vidana Soudha is Bangalore's most important building, housing the state legislature of Karnataka. It is constructed in the Neo-Dravidian style with intricate woodwork on doors and cabinet rooms, that are made of Sandalwood and Rosewood from Mysore. The building lights up in the evening and looks absolutely stunning. 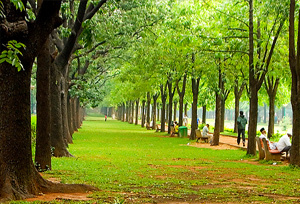 Cubbon Park: This massive green park was constructed by Richard Sankey, Chief Engineer of Mysore, to offer a refreshing surroundings to walkers, joggers, and nature lovers. This lush green paradise has various species of exotic plants, flowering trees, and ornamental plants. Park is named after the erstwhile Commissioner of Bangalore, Sir Mark Cubbon. The Government Musuem: This red color building was built in the year 1886 with 18 galleries to display rare collection of jewelry, amazing sculptures, old paintings, and Neolithic finds of different civilizations. By Air: Bengaluru International Airport is well-connected to cities like Delhi, Mumbai, Chennai, Hyderabad, etc. by regular flights. It is located a little far from the main city, however, can be reached easily through a taxi or a cab or a bus. By Rail: There are two main stations in the city- Bengaluru City Railway Station and Yeswantpur Junction. Both are well-connected to cities like Delhi, Mumbai, Pune, and other major cities. Regular bus service, taxis, and cabs are available from the railway station to reach different locations in Bengaluru. By Road: Several buses are run by Karnataka State Road Transport Corporation that connects Bengaluru to cities like Goa, Mumbai, Pune, Coimbatore, and Mangalore. Best Time To Visit : Months between October and February are best to visit Bengaluru as the weather remains cool and pleasant with a minimum temperature of 10C in the evening. Summer temperature ranges between 20C-36C and monsoon hits the city by the end of June every year.